Students investigate various environments for the presence of bacteria and fungi. Students learn to describe colony characteristics and note the effect of different temperatures and agars on bacterial growth. 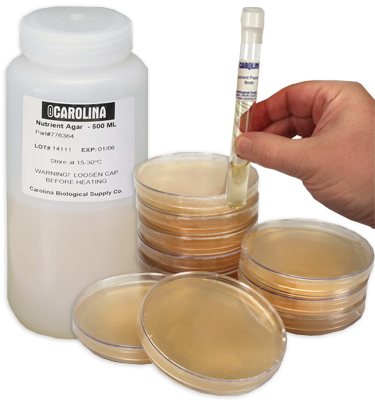 Keep bacteria culture at room temperature; do not incubate or refrigerate. Perfect to introduce beginner students to culturing and isloating techniques, this kit requires no experience in microbiology. Enough materials for a class of 30 students. Perishable material included.